In 1261, England's King Henry III faces nobles and commoners disaffected with his foreign advisers, while factions in Europe vie for control of the papacy as Alexander IV lies dying in Rome. Into this turbulent stew falls William Falconer, Regent Master of the University of Oxford , who attempts to save some students accused of killing Sinibaldo, master of cooks and brother of the much-unloved Bishop Otho, Papal Legate to England and a candidate for the Holy See. 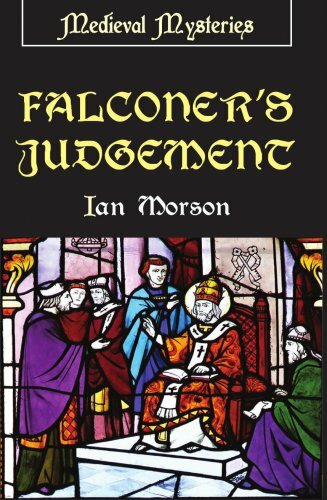 After the chief suspect is murdered, Falconer applies Aristotle's deductive logic, to sift though ecclesiastic and worldly plots.